The Ground Support Equipment Expo 2018 will take place at the Rio All-Suite Hotel and Casino in Las Vegas, Nevada from October 2nd through the 4th. 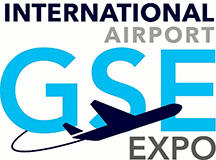 GSE is currently the largest ground support equipment expo in the world with over 2,500 industry professionals, over 200 exhibitors, and over 65,000 square feet of exhibits. By attending this expo, FSIP will identify new customers, strengthen relationships with current customers, promote brand awareness, and network with other industry professionals. FSIP provides electronic products used on electric vehicles including industrial trucks, golf carts, scrubber-sweepers, mining cars/locomotives, electric boats, go-karts and ground support equipment. Products include new and remanufactured motor controllers, battery chargers, battery maintenance equipment and more. FSIP is the exclusive distributor of the Xtender Battery Regenerator which restores and prolongs the lifespan of all sizes and types of lead acid batteries. Additionally, FSIP has the technical expertise to assist with designing a new vehicle or upgrading your existing product line. From project conception to implementation, FSIP will deliver a one-stop solution to vehicle control system satisfaction. Visit Flight Systems Industrial Products at booth #171 to learn about the new & remanufactured electronic products they offer.